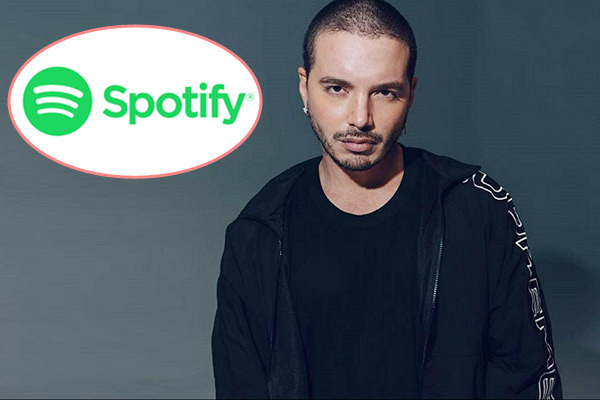 MUMBAI: Multiple Latin Grammy winner J Balvin says he is proud to be the most heard artiste in the world on the digital music service Spotify. He sees this achievement as a proof that Latinos have the power to connect with an audience on a global level. Based on worldwide support for his latest album Vibras and his status as a highly in-demand collaborator, the Colombian singer has now reached the number one global position on Spotify. His total of 48 million monthly listeners is said to be the highest total for a Latin music artiste. "Thank you. I'm so grateful and proud to be the most heard artiste in the world on Spotify. It's bigger than J Balvin, it's the movement and it's in Spanish. We are proving that Latinos have the power to connect with an audience on a global level without having to leave our identity behind," Jose Alvaro Osorio Balvin, popular as J Balvin, said in a statement. "This is an achievement for the entire Latino community," he added. "Vibras" had released in May. "J Balvin is demonstrating, in record time, that music in Spanish has no borders. The trend of consumption of his music, not only in streaming platforms, but also nightclubs, radio, etc. continues to grow exponentially - penetrating all social backgrounds worldwide," said Universal Music Latin America and Iberian Peninsula Chairman and CEO Jesus Lopez. MUMBAI: Grammy award-winning rapper Sean Paul has teamed up with Latin singer J Balvin for the single "Contra La Pared" (Against the Wall). "'Contra La Pared' out now! Big up J Balvin," Sean tweeted on Thursday. MUMBAI: Singers Selena Gomez and J Balvin's song "I can’t get enough" for which they had collaborated with American record producer-songwriter-musician Benny Blanco and Latin Grammy-winning producer Tainy, is available now. "'I can't get enough' is out now," Gomez tweeted. MUMBAI: Popular for rolling out songs like Mi Gente and I Like It, Latin Grammy Award-winner J Balvin celebrates the fact that music is borderless.